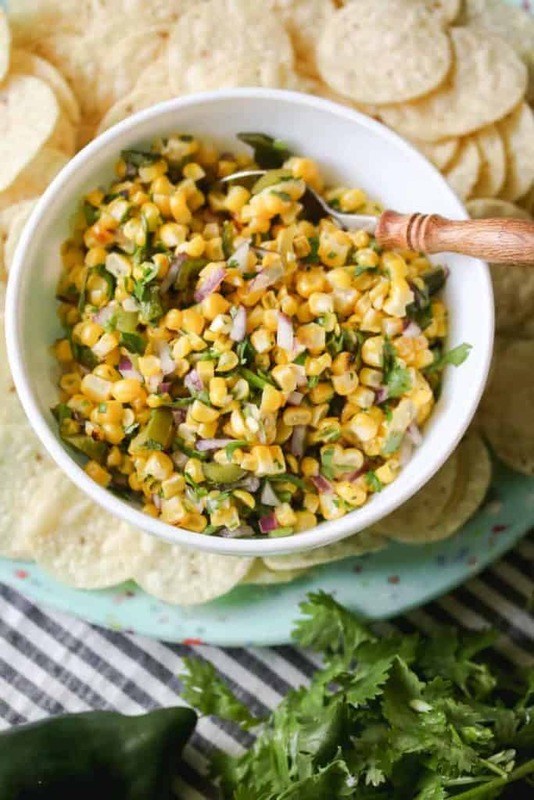 Fresh sweet corn balanced with tangy lime and spicy jalapeño is sure to hit the spot! 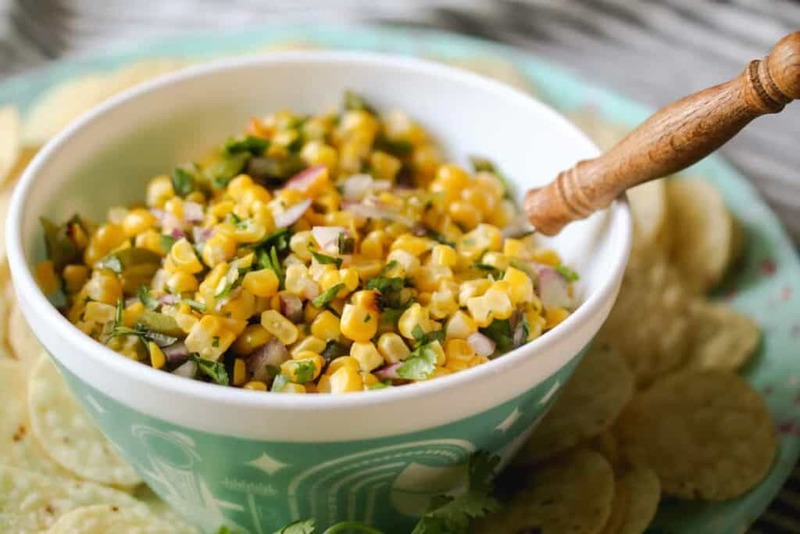 Savor the last bits of summer with Roasted Corn Salsa! I don’t know if you follow me on Instagram, but if you do you may remember when I was working my way through a literal mountain of fresh corn. Well, it was 4 dozen ears but felt like a mountain. Aside from freezing a lot of it for soups and such throughout the winter, I also made this salsa. Obviously it was delicious. Made-one-day-and-gone-the-next delicious. Thanks to teenage boys all across the planet who would never allow good food to go to waste! 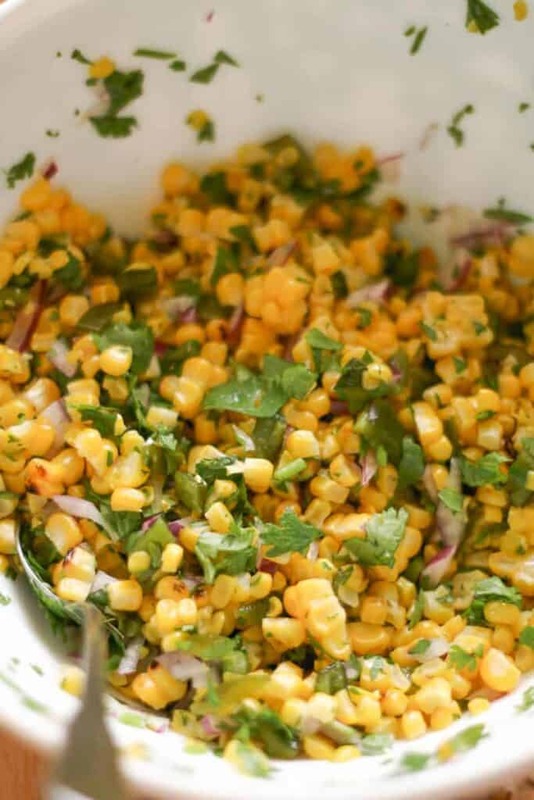 Start by plopping those fresh ears of corn right on the grill. I’ve seen many methods for grilling corn but that is how I do it, keep it simple. Allow one side to char a little and then turn the ears around to each side for another few minutes. You’ll notice the kernels taking on a brighter yellow color, when the whole ear is like that, you know it’s done. I also roasted the poblano and jalapeño pepper at the same time. When everything is sufficiently charred, remove the corn from the grill and set aside to cool. Put the peppers into a bowl and cover with plastic wrap. After the peppers steam for a few minutes, the skins will be quite easy to remove. Next is the easy part! Just chop, dump, and stir! Mmmmmm, baby! ???? From here you can just eat it with chips or if you’re fancy, put it on a salad with this vinaigrette! It would be great in burritos or tacos, too! Heat a grill to medium heat. 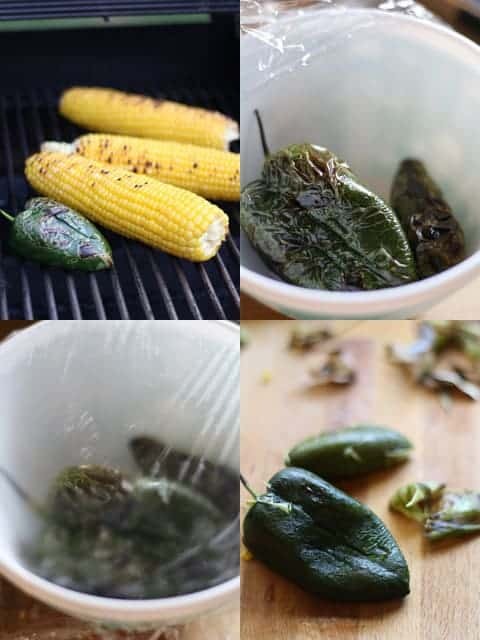 Place the corn, poblano pepper, and one jalapeño on the grill. Cover. Allow to roast a few minutes. Open the grill and rotate the vegetables. Continue to roast and rotate the vegetables to get an even char on all sides. 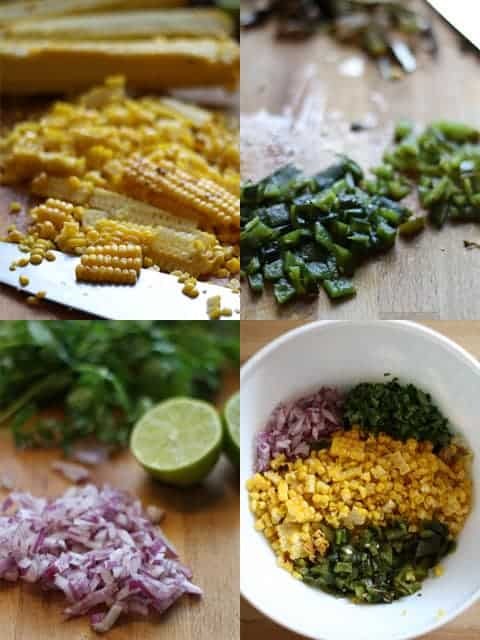 Remove the corn from the grill and set aside. Place the peppers in a bowl and cover with plastic wrap. Finely chop the onion, cilantro, and the optional second jalapeño*, removing the seeds. *omit the second jalapeño for a milder salsa. When cool enough to handle, cut the kernels from the corn cobs. Remove the peppers from the bowl and peel the skins from the peppers. Then remove the seeds and stems and dice the peppers. Place all the chopped vegetables in a bowl. Squeeze the lime and lemon juice over top. Sprinkle with a pinch of kosher salt. Stir. Taste and add more salt if desired. Eat immediately or refrigerate until ready to serve. 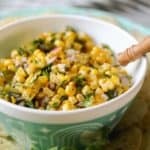 I’ve never used frozen or canned corn for this recipe, I don’t think it would be quite as good as it is with fresh corn. This is one of those ‘fresh is best’ type situations!